The benefits of the harps and gongs are available for your staff and can help to keep your employees well. According to the Health and Safety Executive investing in your employees’ wellbeing can help to reduce stress and sickness absenteeism, promote staff retention and enhance imagination and creativity. In 2016/17, stress, depression or anxiety accounted for 40% of all work-related ill health cases and 49% of all working days lost due to ill health. 526,000 workers suffered from work-related stress, depression or anxiety (new or long-standing) in 2016/17. Why choose a gong session? From the Harp uses sound to create harmony and balance in our physical, mental, emotional and spiritual selves. The sounds interact with our subconscious to quieten the mind, lead us into an altered state of consciousness and reduce the production of the stress hormone, cortisol. The sound frequencies of the gong have been shown to have a positive influence on the immune system, health and wellbeing. The vibrations of the gong help the body and brain to relax by inducing Delta and Theta brain wave states. These are the brain waves known to support relaxation, creativity and natural healing. Why choose a harp session? Interactive harp sessions are an enjoyable and highly effective activity for fun and wellbeing. Music is an important pastime for humans, and something we access throughout our lives – most people know some songs. Music is a motivator: most people react to music through singing or moving. Music gives people a way to communicate and can convey meaning beyond words. Participating in group music sessions can help develop self confidence and self esteem, allow emotions to be experienced, let people interact with others, and provide the opportunity to learn something fun and new as a shared experience with colleagues. The harps are lovely bright colours, the wood and strings are tactile, and because of the harp tunings there are no wrong notes and so everyone can produce a beautiful sound. Music provides a range of resources and activities, and a place where we can all succeed. From the Harp offer two wellness at work packages for lunch breaks or after office hours. And no prior experience is necessary. Relaxing gong bath: this is a form of accessible meditation where participants will be invited to lie down, get comfy and relax while instruments are played to take them on a sound journey. Harp Circle: participants will be invited to play a harp and the session will involve basic technique, games, familiar tunes, improvisation and composition. Players often find playing the harp relaxing, and are able to unleash their creativity and gain confidence trying something new. 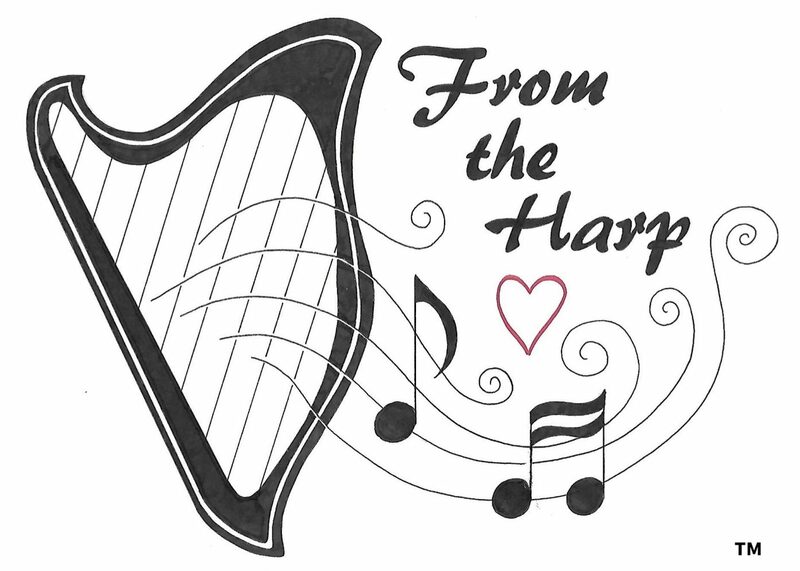 The harps provide a talking point, and we often see communication and teamwork increasing during a harp circle. Please contact us to discuss a package for your staff.